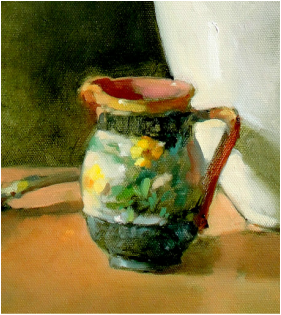 Mary Smoot Souter is a fine artist who works primarily with oils on canvas, linen and prepared boards. With an education background in traditional drawing and painting, Mary has accumulated a great deal of experience from studying the figure. Her paintings reflect a combination of traditional form rendering and impressionistic realism. Mary's diverse portfolio of work takes a unique approach, with a considerate sensitivity to the spectrums of color and light. The subject matter is quite varied, consisting of: still life painting, landscapes, portrait painting and figure drawing. 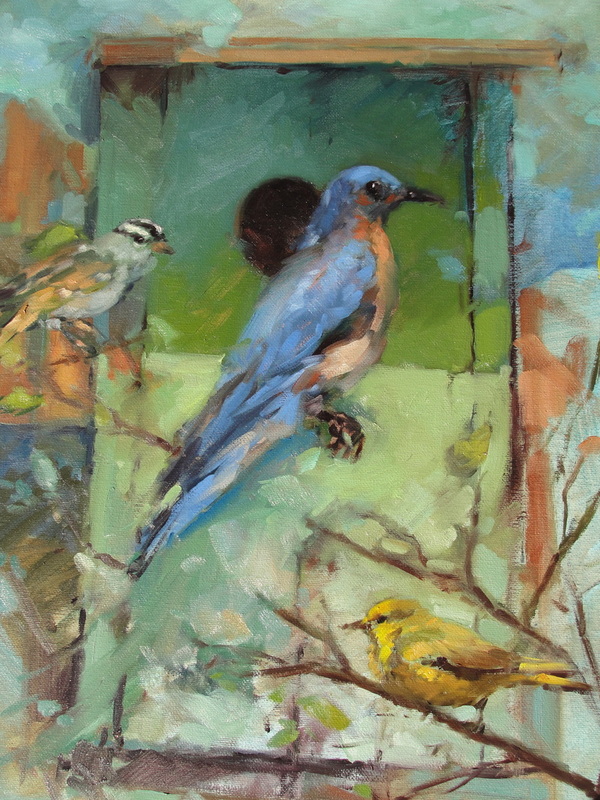 "Housing Bluebird, Yellow Warbler and Sparrow" viewed below, is an example of a unique painting collage inspired by the New York State Bluebird. A few of her bird paintings were on exhibit in "The Bird Show" at Mark Gruber's Gallery, New Paltz, NY. ​Recently Mary's painting "Floral Bouquet" was accepted in the 38th Annual Juried Painting Exhibition at The Salmagundi Club in New York City. This was an exciting venue. The Club chose her floral painting amongst a few select to highlight a promotional bill board for the event. Mary was asked to be the featured artist at "RiverWinds Gallery" in Beacon, NY in a show titled "Selected Breed". The exhibition housed over 20 paintings of current oil paintings that revolved around local farm animals and rarely seen bird paintings. Her work was also accepted at the Katonah Museum of Art in the Beitzel, Righter, and Project Galleries, "Art to the Point: Tri-State Juried Exhibition. This too was an exciting venue due to the large volume of applicants; 300 artists were chosen out of 800. The New York Academy of Art. Mary Smoot Souter's work can be found in the Tri-State area: New York City, Hoboken NJ, New Fairfield, Ridgefield Connecticut, Cold Spring, Garrison NY, Quaker Hill and Pawling, NY. Her work can also be found in collections on Martha Vineyard and Boston, Massachusetts. After graduating she studied at the Reilly League of Artists with Cesare Borgia, a student of the late Frank Reilly. Master of Fine Art Degree. She has studied privately with Michael Aviano and became affiliated with a wide range of professional teacher's and professional artist's from the New York Academy of Art such as; the late Millet Andrejevic and Xavier de Callaty, Ted Schmidt, Joe Groell, sculptor's Eliot Goldfinger, the late Walter Earlbacher, Martine Vaugel, Harvey Citron and art historian Eilleen Guggenheim. unique painting program with Ted Seth Jacobs and Tony Ryder. 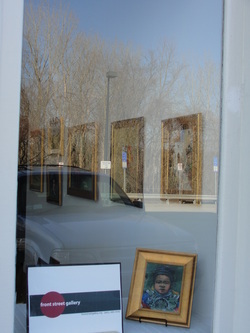 In recent years Mary has been involved in establishing Front Street Gallery, a Fine Art Gallery in Patterson, NY. ​She has helped curate numerous art exhibitions and hosted drawing and painting classes. 21 Front Street, Patterson, NY. Co-owner's: Gene Cadore, Linda Puiatti, Mary Smoot-Souter and Jeremy Wolff.